Have you heard?? 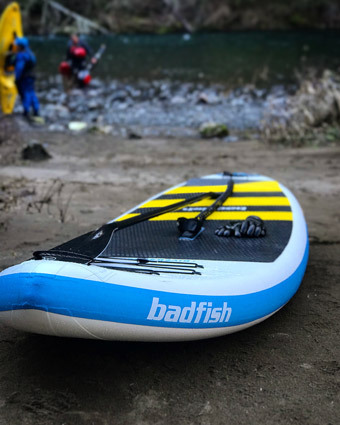 Our Badfish whitewater SUP demos have just landed at Next Adventure's Paddle Sports Center! This is a game changer for those of you wanting to run whitewater in a whole new style. These boards are so sick, and I've had so many ants in my pants waiting for them. 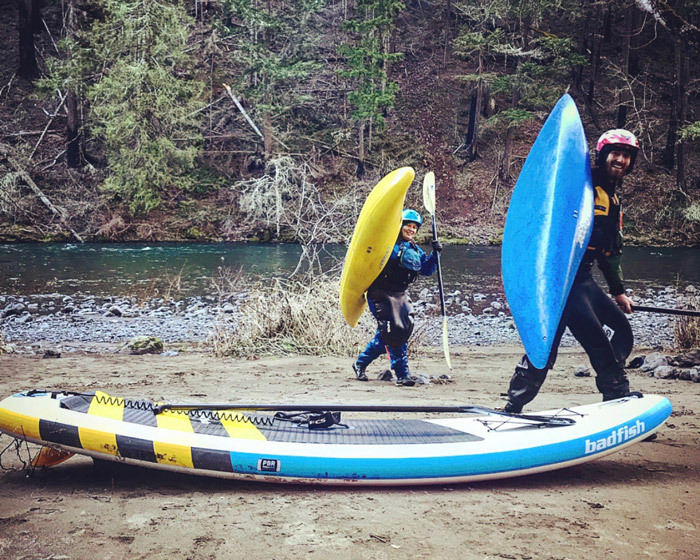 As soon as they arrived, I took the opportunity to run the cream of the crop, the Rivershred, on the Confidence Run of the Upper Clackamas River during a Get Out and Paddle. It was magic. This is a whole new board shape for me and I'm gonna tell you all about it. The most notable feature of this board is the huuuuge rocker that runs the length of the board from nose to tail. This board is shaped like a banana. This allows for you to punch through holes with ease, gliding you right up and over the water. Rarely did I see water rise up over the front deck and when it did it shed off the side in no time at all. In addition to that this board holds its width throughout a majority of the board. Sitting at 36" wide in the center with slight tapering towards the tail and a little more aggressive tapering towards the nose, this is a stable board. Carrying the width towards the tail of the board gives you incredible stability while the tapering effect towards the nose means this board can still cruise. Stable, fast and the ability to punch through waves. This is incredible. It paddles so smooth. If ever there was a board designed to crush a wave train with ease it is this board. I can't say enough good things about the rocker and stability of this board. 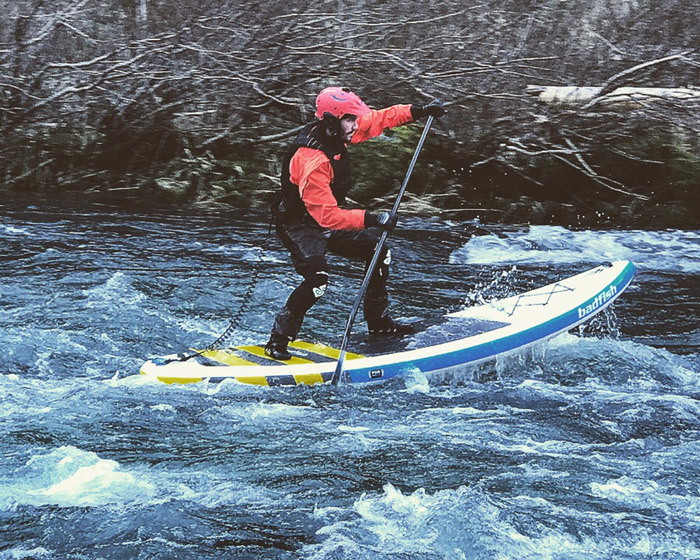 That is the combination you're looking for when it comes to whitewater SUPing. You need a paddleboard that is stable enough to run those rough waves but you don't want to be taking on water or sacrificing speed to do so. In comes that rocker. While at the peak of a wave your back foot will control the direction of the board and the board has your back as you enter the next wave in the train. The nose is already angled up to project you up and over. Wave trains all day. Have you ever met someone and instantly become friends with them? Kinda like you've known them for years. 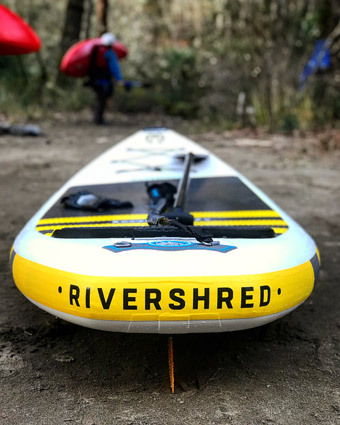 This is what paddling the Rivershred for the first time was like. I hopped on and got after it. No learning curve at all, just easy, heavy paddling. This is a board that you will want to take home to meet your parents. I've paddled a lot of boards in whitewater that aren't necessarily designed for whitewater. When you step onto a board that is meant for this venue it makes all the difference and that's where the Rivershred shines. 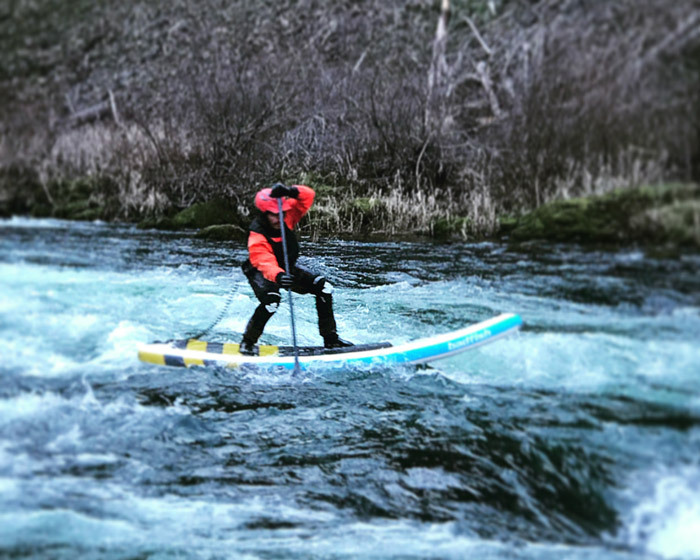 Whitewater SUPing can be intimidating, but you don't need to feel nervous at all with this board under your feet. In addition to this board, we also have the Hard SK8, the iSK8, the Badfisher, and the WAVO. All available for demo and purchase. Come play on the river with me! This is the board I've been waiting for. Don't miss out on any of our events, sales, or classes! Sign up for our weekly Newsletter!